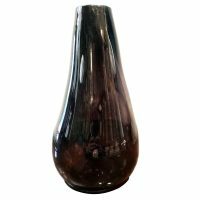 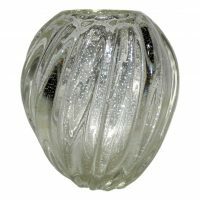 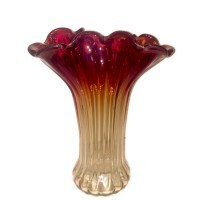 A 1940's Italian Murano glass vase with silver speckles in the glass, twisted tapered body. 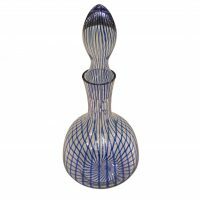 Measurements: Height: 7" Width: 4.5" Length: 6"
A circa 1940's Italian hand-blown Murano glass decanter with stopper, clear with blue ribbons. 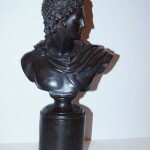 Measurements: Total height: 13"
A 1920's Danish terracotta bust of Apollo Belvedere, with dark finish. 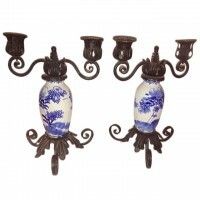 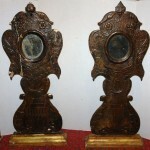 Measurements: Height: 17" Width: 6.5"
Pair of 19th Century Chinese plaques with original patina, inset if wooden frames. 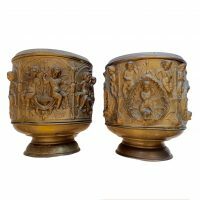 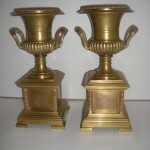 Measurements: Height:17 1/4" width:24 5/8" Depth: 1 3/4"
Pair of circa 1900 French gilt bronze urns of neo classic style, on pedestal bases. 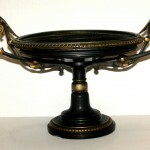 12.5" height 209 East 59th Street. 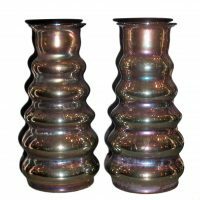 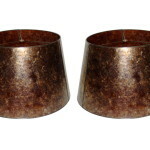 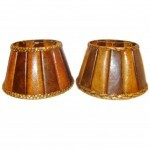 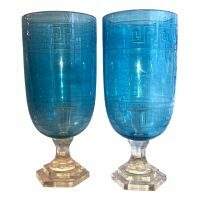 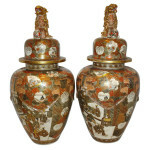 Pair of 1940's Turkish hammered copper vases with lids and original traces of silver silver plated finish. 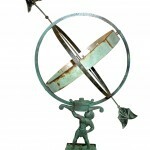 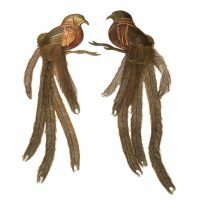 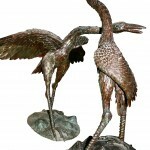 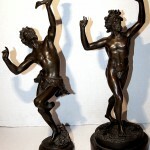 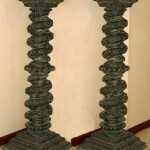 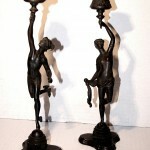 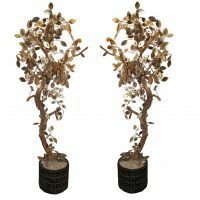 Measurements: Total Height: 30"
Grand Tour, bronze statues, original patina, depicting a pair of bachanals dancing. 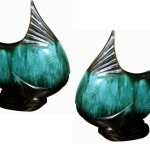 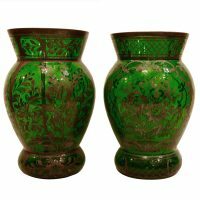 Pair of 1930's French green glass vases with hand-applied silver decoration. 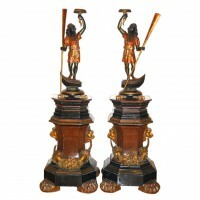 Measurements Height: 13.25" Diameter: 8.25"
Pair of Grand Tour patinated bronze candlesticks depicting Diana and Mercury (Artemis and Hermes) 10" height 209 east 59th Street. 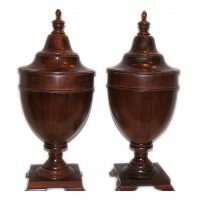 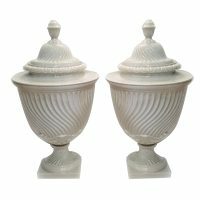 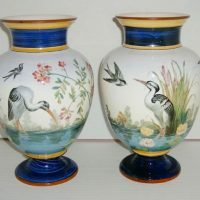 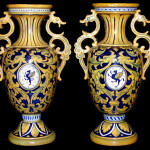 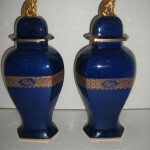 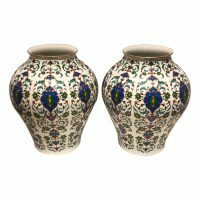 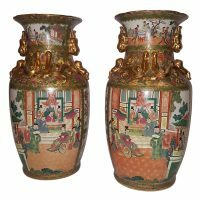 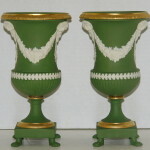 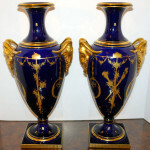 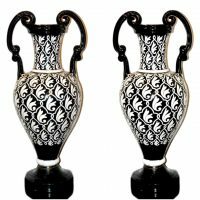 A pair of circa 1930s English porcelain urns in Neoclassic design. 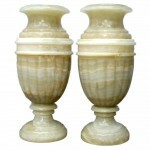 Measurements Height: 19.5" Diameter: 10.5"
Pair of circa 1940's Italian carved onyx marble urns. 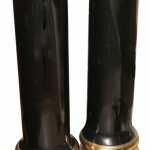 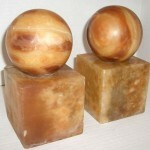 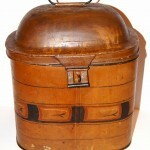 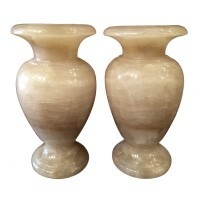 Measurements: Height: 16.5" Diameter: 10"
A pair of large 1940's Italian onyx urns. 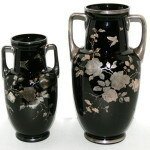 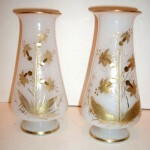 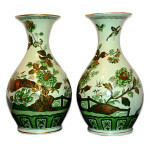 Measurements: Height: 25.5" Diameter: 23.5"
A pair of large circa 1920's German porcelain vases with floral motif. 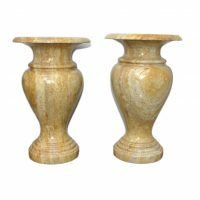 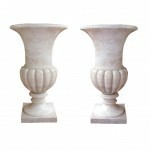 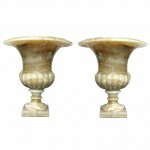 Measurements: Height: 12" Diameter: 10.5"
A pair of 1940's Italian carved marble urns on pedestal bases. 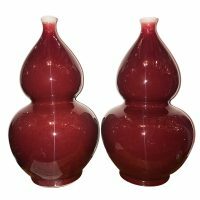 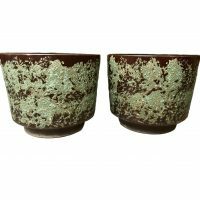 Measurements: Height: 24.5" Diameter: 15.75" Base (square): 9"
A pair of American circa 1950's lava glazed porcelain cachepots. 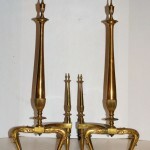 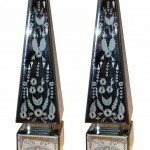 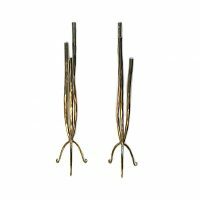 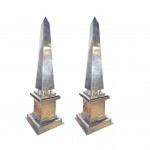 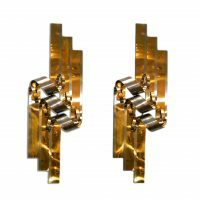 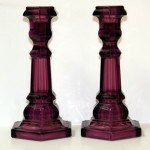 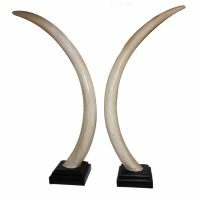 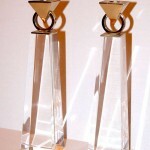 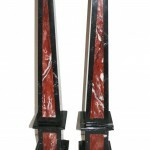 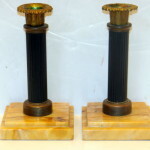 Measurements: Height: 12" Diameter: 14.75"
Pair of 1960's Italian 1960's obelisk shaped lucite candlesticks with brass tops. 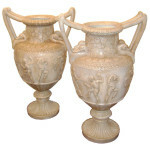 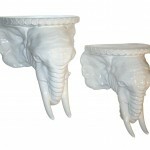 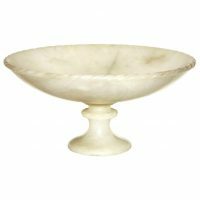 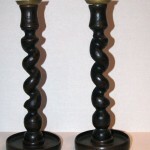 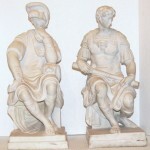 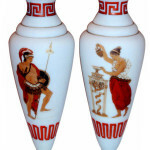 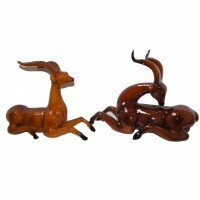 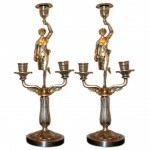 Pair of 1920's Italian neoclassic style carved alabaster tazzas. 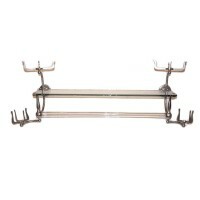 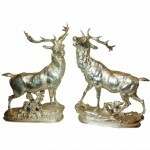 Measurements: Diameter: 14" Height: 8"
Circa 1900's English silver plated pair of stags with original finish and patina. 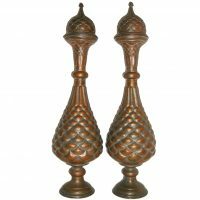 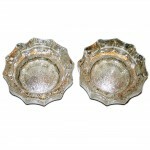 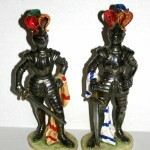 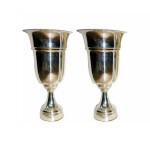 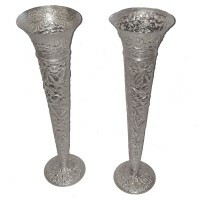 Measurements: Height: 14.5" Depth: 4" Width/length: 12"
Pair of 1920s English silver plated vases with original patina. 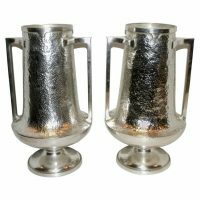 Measurements: Height: 19" Diameter: 10"
Pair of 1920's English silver plated vases with hammered textured body and handles. 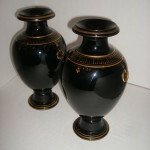 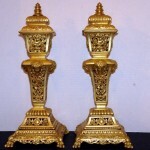 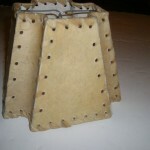 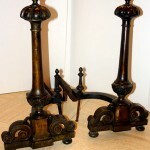 These have been lacquered to prevent tarnishing. 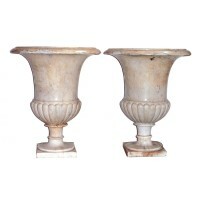 Measurements: Height: 18.5" Diameter: 10"
Pair of vintage parchment shades with stitching on edges. 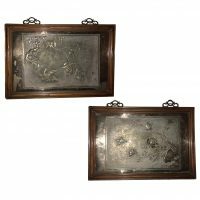 Metal frame. 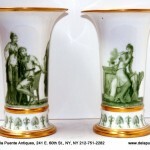 16" wide, 16" deep, 11" height 209 East 59th Street. 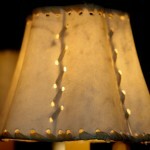 Hand made parchment shades with corner stitching. 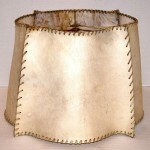 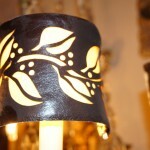 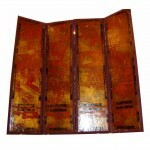 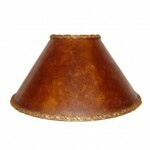 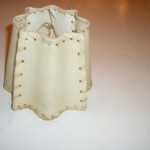 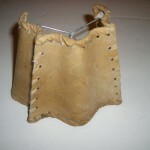 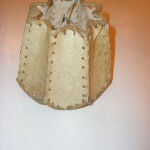 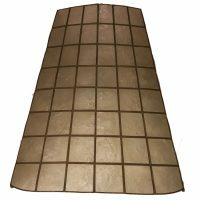 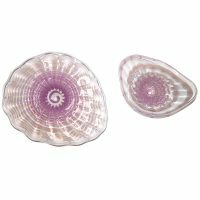 Measurements: Height: 5" Width: 6"
Handmade parchment shades with stitched corners. 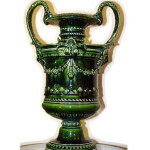 Height: 5, Depth: 4 top diameter, Diameter: 6 bottom diameter 209 East 59th Street. 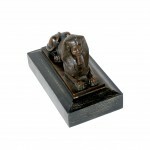 Grand Tour patinated bronze sculpture of a sphynx.